Actress Mahira Khan, Pakistan’s Queen of Hearts, has created a stir in India without a single Indian film to her name. Mahira is to make her Bollywood debut opposite no less a person than Shah Rukh Khan in Raees. The fanfare is already deafening, given that the last two actresses who made their debuts opposite SRK are now superstars – Deepika Padukone and Anushka Sharma. So, just who is Mahira Khan? A household name in Pakistan thanks to her popular serial Humsafar, Mahira made her cinematic debut with Shoaib Mansoor’s pathbreaking film Bol in 2011. 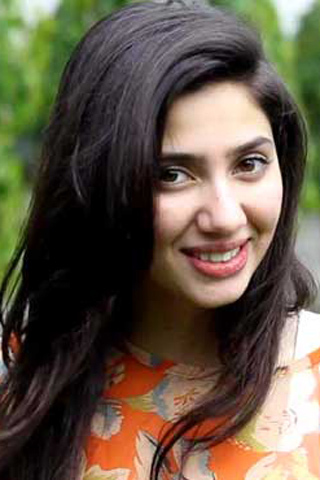 The film was a hit and Mahira received rave reviews for her performance as a spirited tomboy who marries without the consent of her conservative father. Mahira next acted in the Pakistani serial Neeyat in 2011. But it was her role in the serial Humsafar (2012), where she played the middle class Khirad Ehsan forced into marrying her rich cousin, that propelled her to stardom. The serial was aired on Zindagi Channel this year and Mahira became a hit with the Indian audience as well. Her co-star Fawad Khan has already made his presence felt here with Khoobsurat, opposite Sonam Kapoor. Shehr-e-Zaat, in which she shed her sweet, innocent girl-next-door look to play a strong-willed woman, also won her much acclaim. Besides Raees, Mahira has now reportedly signed Pakistani producer Asif Raza Mir’s upcoming and as yet untitled film project. The 30-year-old actress is married to her college sweetheart Ali Askari and has a son with him. Anushka Sharma-Virat Kohli to Live-in Together; Couple to Rent a Flat in Mumbai? Guess Why Aishwarya Rai Bachchan Won’t Work With Hubby?